The luxury jewelry store reported a surprise slowdown in sales driven by all-important Chinese tourists. They’re still buying, just doing so at home. Currency changes and tariffs are partly to blame. 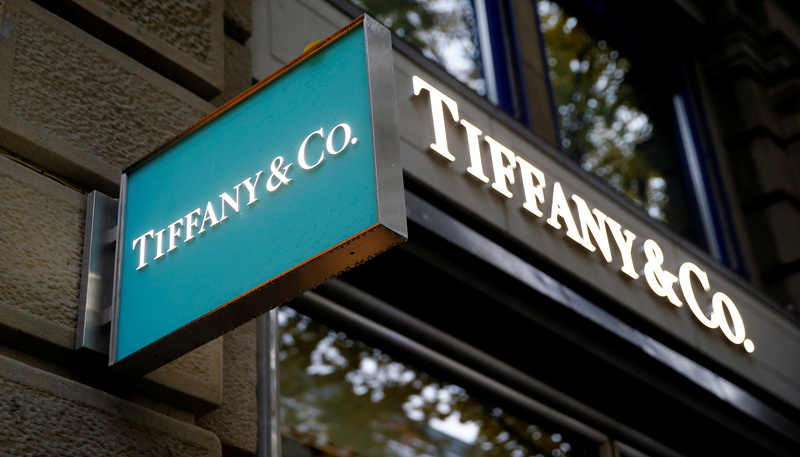 Rivals have tripped by chasing tourist flows, but Tiffany is right to resist that urge. The logo of U.S. jeweller Tiffany & Co. is seen at a store at the Bahnhofstrasse shopping street in Zurich, Switzerland October 26, 2016. Tiffany on Nov. 28 reported third-quarter sales of $1 billion, up 4 percent year-over-year, but below estimates of $1.1 billion, according to I/B/E/S data from Refinitiv. Higher spending by local customers in their respective markets helped sales growth and offset lower spending by Chinese tourists. Earnings dropped 5 percent to $94.9 million, just below Refinitiv estimates. Tiffany shares were down 10.5 percent to $93.94 per share in New York at 10:31 a.m. EST.